Good afternoon space fans! It's been another wonderful week for our friends whipping around above the world. Here's what was up! The SpaceX Dragon heads back to the realm of mortals. Commander Jeff Williams set a record for most accumulated time in space by an American, surpassing even the famed One-Year Crew member Scott Kelly. As of August 21, Williams had served a total 520 days in orbit. Williams had previously served as a shuttle crew member on STS-101 in 2000, as well two previous tours on the station, in 2006 and 2009. When he returns to Earth this September, he will have acccured 534 total days hauling around in the heavens. 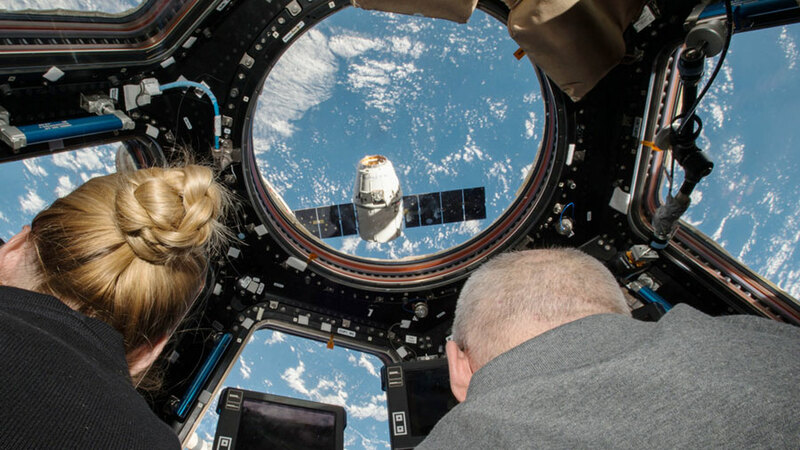 SpaceX Dragon returned to Earth on Friday, stocked with some 3,000 thousand of pounds of cargo and science experiments. It landed 326 miles off the coast of Baja, California, as part of the 9th commercial cargo mission contracted with NASA. It will be transported to MacGregor, Texas for processing, after offloading some materials in Los Angeles. watch the Dragon fly home. Experiments included the heart cells study, a study on astronauts' immune systems, a study of liquid crystals in microgravity, and a group of tomato seeds that had been flown to space and will be planted on Earth to examine the differences between them and seeds that had always been bound by gravity. NASA gave a shout-out to the 100th anniversary of the American National Parks system, and included some images that are a little different from what you'd see on your family vacation! The Grand Canyon, looking particularly grand. And, since Commander Williams has spent so much time in space, he's got a great eye for the lovely nuances of our planet! Take it away, Commander! That's all for this week, space fans! We'll see you next Sunday with more excellence from orbit! Those giant redwoods don't look so big from up here! The image of the Sunday Space Station is very beautiful.